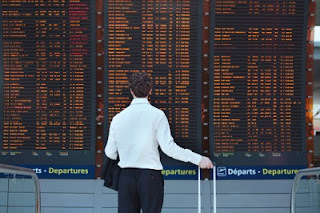 Be aware of these tricks when buying airline tickets online! Are you aware that you could be paying more than you need to for airline tickets? Online customers need to be mindful of scams, unwanted extras, online tracking and last minute bookings which can all get you in to trouble! Recently, more than 300 Vietnamese students have allegedly been tricked out of $360,000 in travel fares after they purchased fake tickets through social media. The students bough the tickets to Vietnam through Facebook but were told that their bookings had been cancelled at check-in. Cookies are sent from a website to your computer and track your movements around a site. They are designed to enhance your experience but the trail they leave can also change the final cost. In some cases, the cookies can cause some travel agents to decrease their prices; however they may cause the total to increase based on the number of times you re-enter a particular website, which is why it is essential to delete your browser history. Cheap flights can sometimes come with sneaky pre-selected extras which may add up to 40% to the initial cost. In recent years EasyJet has charged for seat selection, from £3 for a standard seat up to £8 or £12 for extra leg room. Opting out of this extra means you will be allocated a seat you can’t change when you check in. Consumers should weigh up the cost of their desired extras before booking. “If you book a really cheap flight, it is probably not going to include baggage, it is probably not going to include meals, people need to weigh up the cost … check that there aren’t any full service airlines that work out cheaper,” TravelZoo deal expert Charlotte Dubois told The New Daily. Prices also peak about three days before departure meaning that last minute travelling struggles to ensure you get the best deals. Incidentally, the best time to buy was actually approximately 50 days ahead of travel. “Book on a Tuesday – data shows this is the cheapest day of the week to lock-in holiday plans,” said Cheapflights.com.au global head of communications Phil Bloomfield. Wherever in the world you will be travelling to, make sure to get your travel insurance sorted with Discount Insurance! Call 0800 294 4522 today!